Website structure and content can have a significant impact on the ability of search engines to provide a good search experience. As a result, the Search Engine Optimization industry evolved to provide better understanding of these impacts and close critical gaps. Some elements on your website will actively hinder the search experience, and this post will show you how to target valuable content and exclude distractions. A <main> element allows you to target content you want indexed by search engines. If a <main> element is present, the system will only collect the content inside the element. Be sure that the content you want indexed is inside of this element. If the element is closed too early, important content will not be indexed. Unless the system finds a <main> element demarcating where the primary content of the page is to be found, repetitive content such as headers, footers, and sidebars will be picked up by search engines as part of a page’s content. Redundant header code and navigation elements, sidebars, etc. As mentioned above, if no <main> element is present, the entire page will be scraped. This is best reserved for non-HTML file types, though, including PDFs, DOCs, and PPTs. There are two good reasons to declare the URL for a given page: CMS sites can easily become crawler traps, and list views can generate urls that are unhelpful as search results. By using a canonical link, shown above, you tell the crawler this is the real URL for the page despite parameters present in the URL when the page is opened. In the example above, even if a crawler opened the page with a URL like https://example.gov/topic1?sortby=desc, only https://www.example.gov/topic1 will be captured by the search engine. Another important use-case for canonical links is the dynamic list. If the example above is a dynamic list of pages about Topic 1, it’s likely there will be pagination at the bottom of the page. This pagination dynamically separates items into distinct pages and generates urls like: https://example.gov/topic1?page=3. As new items are added to or removed from the list, there’s no guarantee that existing items will remain on a particular page. This behavior may frustrate users when a particular page no longer contains the item they want. Use a canonical link to limit the search engine to indexing only the first page of the list, which the user can then sort or move through as they choose. The individual items on the list are indexed separately and included in search results. There are individual pages on your websites that do not make good search results. This could be archived event pages, list views such as Recent Blog Posts, etc. Blocking individual pages on the robots.txt file will be difficult if you don’t have easy access to edit the file Even if edits are easy, it could quickly lead to an unmanageably long robots.txt. It’s also important to note that search engines will pay attention to Disallow directives in robots.txt when crawling, but may not when accessing your URLs from other sources, like links from other sites or your sitemap. 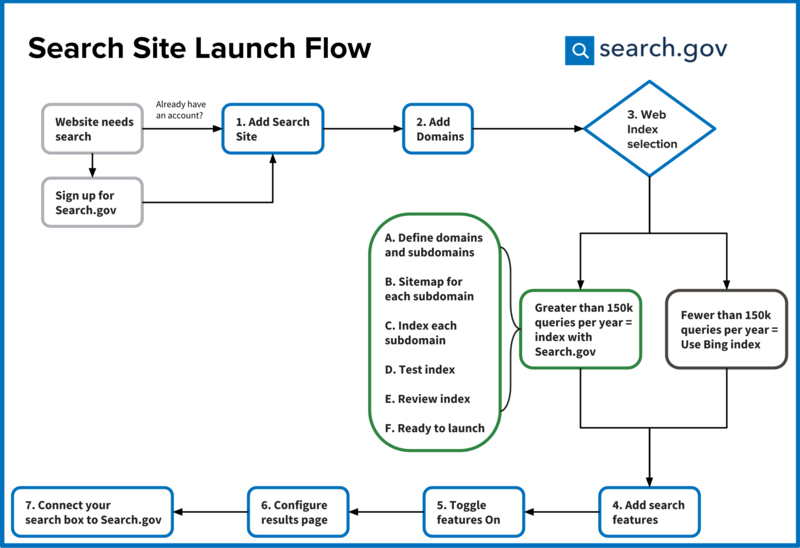 Search.gov will rely on robots meta tags when working off your sitemap to know what content you want searchable, and what you don’t want searchable. To achieve best results for blocking indexing of particular pages, you’ll want to employ meta robots tags in the <head> of the pages you want to exclude from the search index. You can also add an X-Robots-Tag to you HTTP header response to control indexing for a given page. This requires deeper access to servers than our customers usually have themselves, so if you are interested in learning more, you can do so here (External link). Once the page’s window of relevance is over, add a <meta name="robots" content="noindex" /> tag to the <head> of the page. Make sure the modified_time on the page is updated. Leave the item in the sitemap, so that search engines will see the page was updated, revisit it, and see that the item should be removed from the index. The following code sample is for a dynamically generated list of pages on your site, where you want the landing page for the list to appear in search results. <p>This is the introductory text of the page. It tells people what they’ll find here, why the topic is important, etc. This text is within the main element, and so it will be used to retrieve this page in searches. The following code sample is for a dynamically generated list of pages on your site, where you do not want the list to appear in search results. In the case of pages tagged with a particular term, the pages themselves would be good search results, but the list of them would be just another click between the user and the content. Note: the description tags are still present in case someone links to this page in another system and that system wants to display a summary with the link. In the following example, an event page was published in June, and then updated the day after the event occurred. This update adds the meta robots tag, which declares the page should not be indexed, and links from the page should not be followed in future crawls. Again, the meta descriptions are retained in case of linking from other systems. HTML <main> Tag (External link) - accessed October 10, 2018. Robots meta tag and X-Robots-Tag HTTP header specifications (External link) - accessed October 10, 2018.
rel=canonical: the ultimate guide (External link) - accessed October 10, 2018. Consolidate duplicate URLs: Define a canonical page for similar or duplicate pages (External link) - accessed October 10, 2018.